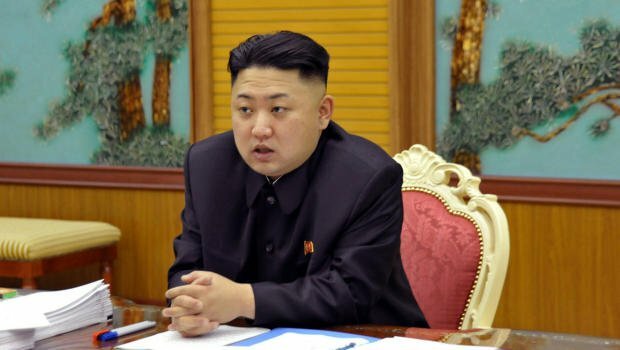 North Korea has blamed the South for “arrogant obstructions” that led high-level talks to be cancelled. South Korea’s “deliberate disturbance” by changing the head of its delegation made “the talks between authorities abortive”, North Korea said. The planned talks, which followed months of raised tensions, were aborted after the two sides failed to agree on the composition of the delegations. Seoul said it was disappointed with North Korea’s response. North Korea’s state-run news agency KCNA described the South’s nomination of Vice-Unification Minister Kim Nam-shik to lead the delegation as “the height of discourtesy and disrespect unprecedented in the history of the North-South dialogue”. This, and the difficulty in agreeing an agenda for discussion, proved “that the South side had no intent to hold dialogue from the beginning and that it only sought to create an obstacle to the talks, [to] delay and torpedo them”, it said. It added that this made the North question whether inter-Korean talks were possible. The two Koreas have not held ministerial-level talks since 2007. The agreement to hold the talks – seen by analysts as a major development in itself – came in the early hours of Monday after lengthy preliminary discussions in the truce village of Panmunjom. It came after months of heightened tensions following North Korea’s third nuclear test in February. After the UN tightened sanctions against the North as a result of the test, Pyongyang threatened to attack South Korea and US bases in the region, cut various hotlines used for intra-Korean communication, and withdrew its workers from a joint industrial park. South Korean Unification Minister Ryoo Kihl-jae was originally reported as the head of the South’s delegation for Wednesday’s planned talks. However, when Seoul asked Pyongyang to send Kim Yang-gon, an adviser to North Korean leader Kim Jong-un, North Korea refused. Seoul then named its vice-minister as its chief negotiator instead. North Korea said the implication that Kim Yang-gon was not equal in rank to Ryoo Kihl-jae was “a revelation of its ignorance”, and “a manifestation of [South Korea’s] sinister intention” to abort the talks. Speaking on Wednesday, South Korean PM Chung Hong-won said Seoul would no longer make “infinite concessions” to North Korea. “In the past, we have made infinite concessions to the North, but the time has come to hold talks where both sides are represented by officials of the same level,” Chung Hong-won said. Meanwhile, North Korea has not answered routine calls from South Korea via the Red Cross communications line linking the two countries, South Korea says. North Korea cut the communications link in March amid rising regional tensions, but restored it last Friday. South Korean media say the unanswered calls may suggest that Pyongyang has cut the hotline again.